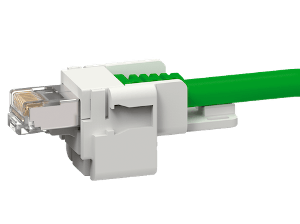 MIXO Gigabit: sturdy connection for high-speed needs. 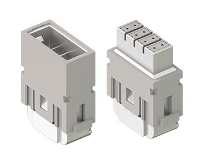 MIXO Gigabit is a robust and compact modular connector unit. 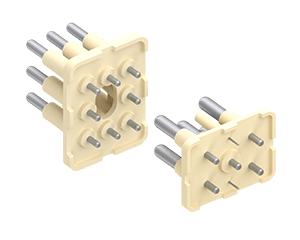 A perfect data connecting solution for challenging the need of shielded connectors in sectors like railway, wind, energy, factory automation application and other harsh industrial environments as it complies with the Cat. 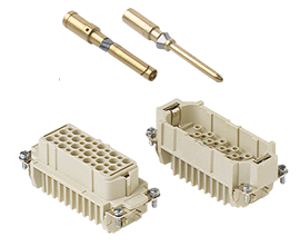 6A requirements (high-speed data transmission), that is currently the most requested industrial standard (up to 500MHz) for an Ethernet connection up to 10 Gb/s. 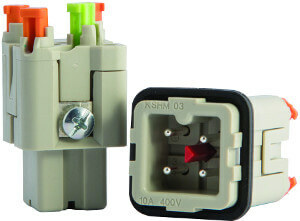 HNM series: many cycles, high durability. 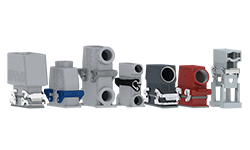 Specifically designed for applications requiring a high number of mating cycles, the HNM series guarantees up to 10.000 matings. Ideal for test benches, the special HNM inserts guarantee 10.000 matings when used together with the dedicated enclosure series, thanks to the special antifriction treatment applied both on the contacts of the inserts and on the V-Type locking lever and the riveted pegs. CKSH: the new age of wiring. 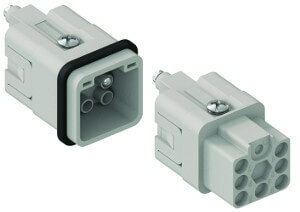 The CKSH insert combines compactness with all the advantages of the Ilme SQUICH® technology. 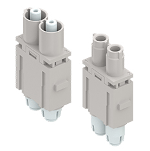 The “21.21” size insert with actuator button is available with 3 and 4 poles for 10A 400V, vertical and straight termination and dedicated coding pins. It requires no tools and no special wire preparation performing an excellent fastening and great resistance to strong vibrations. CQ 07: compact, powerful, flexible. 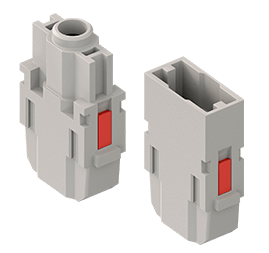 The new CQ 07 crimp connection insert is specifically developed for railways and robotics applications. 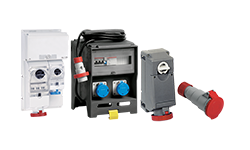 It combines a high electrical performance with a 400V rated voltage, a 6kV rated impulse withstand voltage with the advantages of a flexible application, as it can be used with different contact types (gold, silver and tin plated) and can be mounted in all the main enclosure series.